I don't have kids, but this is too cute not to share. Download free, printable cone-shaped paper dolls with interchangeable Halloween costumes from Mr. Printables. You'll need the girl bodies from here, and the Halloween costumes from here. You can also make all the dress-up outfits below. Adorable. I think my niece would really get into these. 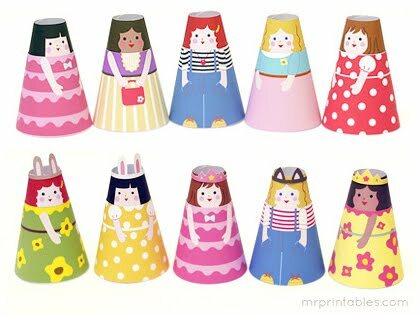 If you know some little girls, maybe they'd like to play with cone girls, too! Rumor has it cone boys are coming soon. You have read this article downloads / halloween / paper / printable with the title Printable Halloween paper dolls. 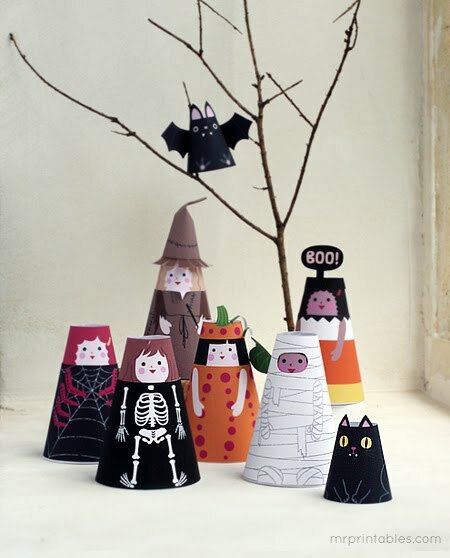 You can bookmark this page URL http://jenkrebs.blogspot.com/2012/10/printable-halloween-paper-dolls.html. Thanks! No comment for "Printable Halloween paper dolls"